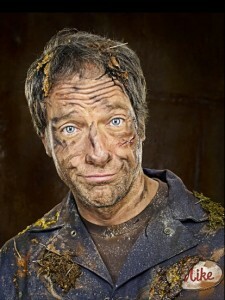 Dirty Jobs’ Mike Rowe Answers What To Do With My Life? This is a great piece I came across by Mike Rowe, presenter of TVs Dirty Jobs (Trailer Here), in which he goes around working with people in jobs most people would think are horrible. The piece to hand stems from a guy who writes to Rowe asking him for help in finding his ideal job. The original full article was found on Top Right News and I have included both letters below. ITs a really great view on life from a guy who has seen a lot of jobs! This entry was posted in Readings and tagged careers, dirty jobs, inspiration, jobs, mike rowe, mike rowe letter, what to do with your life on May 23, 2014 by Lewis.